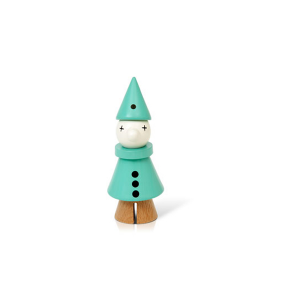 Want to add a touch of magic and charm to your little one’s bedroom, nursery or play space? 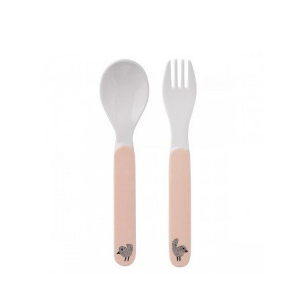 The Fabels Dusty Pink Unicorn Head is the perfect piece for the job. The gorgeous wall hanging is unique, special, and oh-so-cute. 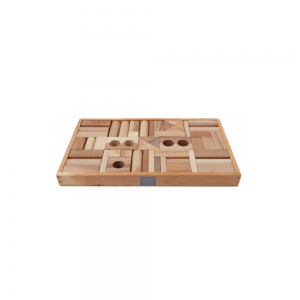 It’s also sure to make your child smile with delight whenever they see it watching over them. 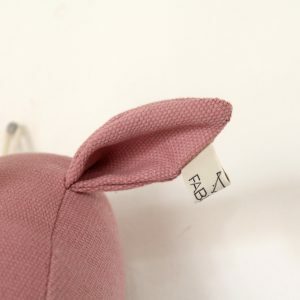 Carefully handmade using a soft cotton blend from upcycled vintage clothing, the Fabels Unicorn Head is as environmentally conscious as it is stylish. Its thread is even made out of recycled PET bottles. 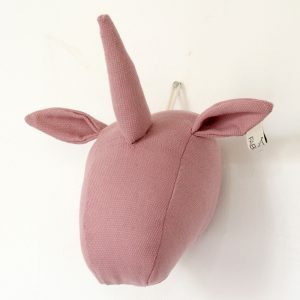 Designed to look good while doing good, this lovely dusty pink unicorn head is an excellent addition to any home. 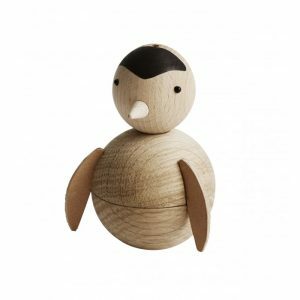 Its small size, which measures 20cm at the head, makes it an ideal decorating feature for babies’ nurseries and cosy kids’ rooms. 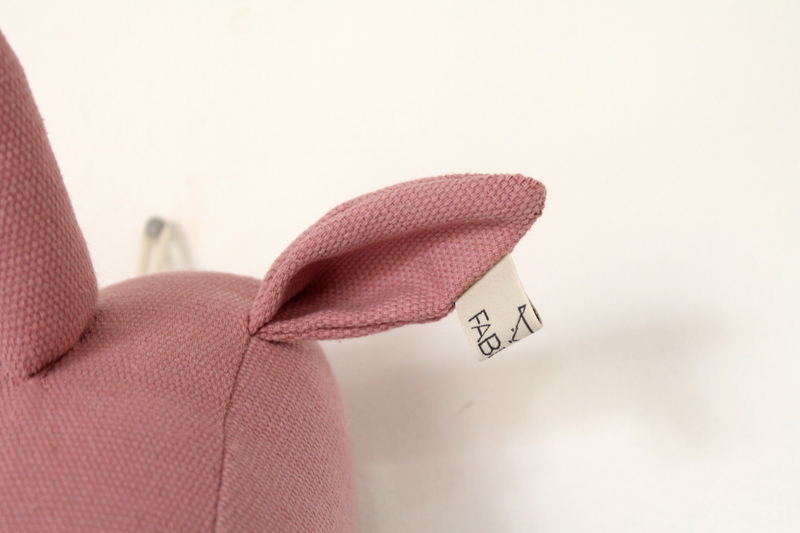 – The Fabels Dusty Pink Unicorn Head features cotton mix material for a soft finish. – The unique and environmentally conscious animal head is made using upcycled vintage clothing. 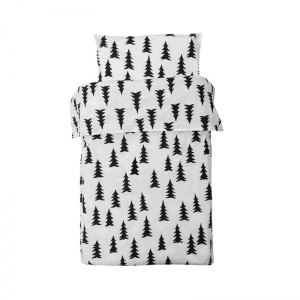 – A small size makes this wall hanging ideal for nurseries and kids’ rooms. 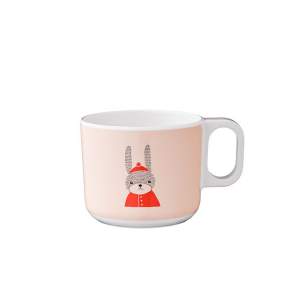 Dinnerware from Bloomingville Mini range. 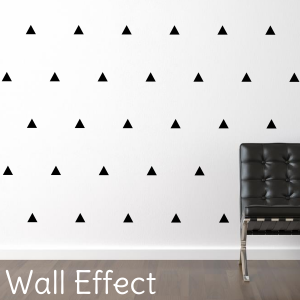 Wall decal shapes are the perfect way to create a wallpaper effect, without the expense and permanency of wallpaper! There are 30 stars per pack. 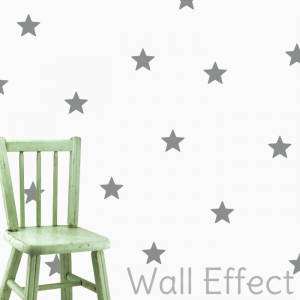 Each star has a width of 7cm.